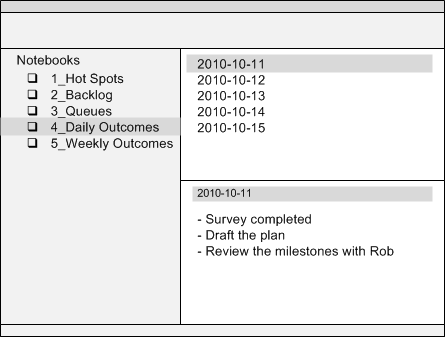 This article shows you how to implement Agile Results with Evernote. 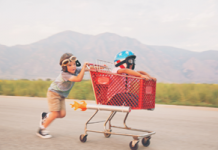 Agile Results is a way to get faster, simpler, and better results in work and life. 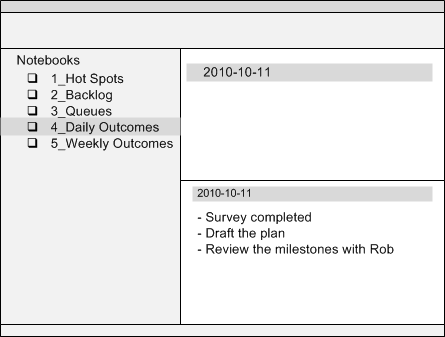 With Evernote, you can easily implement Agile Results including The Rule of Three, Monday Vision, Daily Outcomes, Friday Reflection, and Hot Spots. While your setup time may vary, it’s possible to set it up in as little as 5 – 10 minutes. 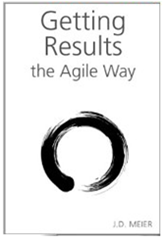 Getting Results the Agile Way is a way to get faster, simpler, and better results in work and life. 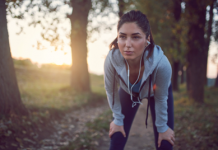 It does so by integrating some of the most effective methods for thinking, feeling, and doing to help you unleash your best. Enjoy a fresh start each day and each week. Each day, simply create a new note, and write down your three outcomes for the day. Each week, simply create a new note, and write down your three outcomes for the week. 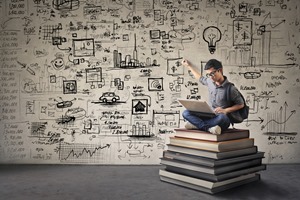 Before you begin, you should install Evernote from http://www.evernote.com/ . Hot Spots will be for keeping a simple map of what’s on your plate. 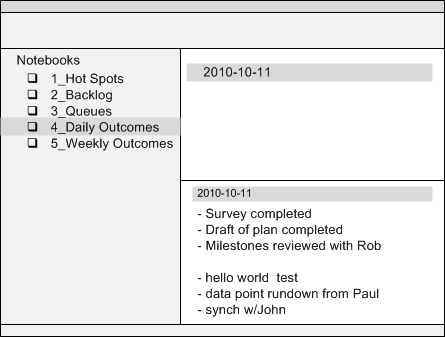 Backlog is where you put lists of ideas or things that you aren’t currently working on, but you would like to get to at some point. 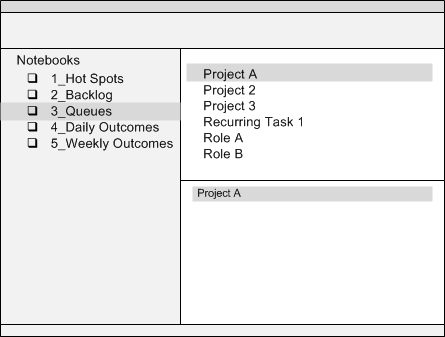 Queues is where you put a list for each project or role or ongoing activity. Daily Outcomes is where you make a new To-Do list each day and identify three outcomes that you want to achieve for the day. Weekly Results is where you make a new list each week and identify three main outcomes or results you want to achieve for the week. The Daily Outcomes help you guide your action for the day, while the Weekly Outcomes help you guide your action for the week. 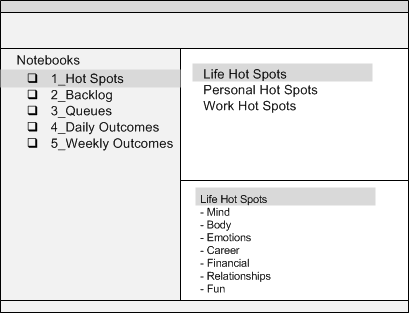 In your Life Hot Spots, list your big areas of focus. Here is a starter set that you can customize: mind, body, emotions, career, financial, relationships, and fun. In your Personal Hot Spots note, make a list of what’s on your plate outside of work, including any personal projects, any ongoing activities that take your time and energy, and any key roles that you play. In your Work Hot Spots make a list of what’s on your plate, including any projects, any ongoing activities or recurring tasks, and any roles you play. Important – when you list out your Personal Hot Spots and Work Hot Spots, don’t put what you think it should be. Instead, simply dump out whatever is top of mind. The purpose is to first create a simple map of what’s on your plate, or what’s on your radar, so that you can see at a glance where your time and energy go. Because these are simply lists, they are easy to scan. When you can easily see what’s on your plate, you can better prioritize and focus, as well as negotiate what’s on your plate. 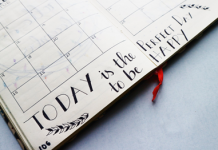 In this step, add a new note to your Daily Outcomes notebook and name it today’s date. In this case, I’ll name it 2010-10-11 to represent October 10, 2010. Add three outcomes to your list. The naming is important. Name each note using the date. Simply use today’s date. This makes it easy to make a new note without worrying about titles. Use the format YYYY-MM-DD to represent the year, month, and day. For example, I used 2010-10-11, to represent October 11, 2010, which is a Monday. This is important so that you can sort your notes and easily scan through them in order. If you have a lot of tasks for the day, you can include them in the list. Simply make sure that you keep your three main outcomes at the top of the list, and shove the rest of your tasks below that. This way, at any point in the day, you always know with a glance what your three main results are for the day. This will help you simplify your day, as well as focus and prioritize. It also makes your tasks more meaningful because they are part of your three outcomes. 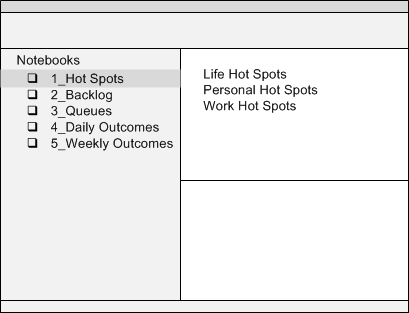 In this step, you add a new note to your Weekly Outcomes notebook and you identify three outcomes for the week. Simply use Monday’s date for the week that you are on. This makes it easy to make a new note without worrying about titles. Since these are Weekly Outcomes, you would make a new note each week, on Monday. Monday is a simple anchor point to remind you to figure out your three outcomes for the week. 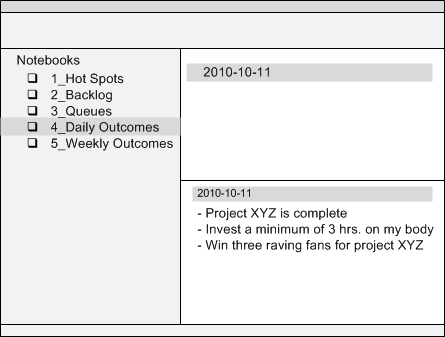 Here is an example showing how the next couple of Weekly Outcome notes would be titled with Monday’s date. 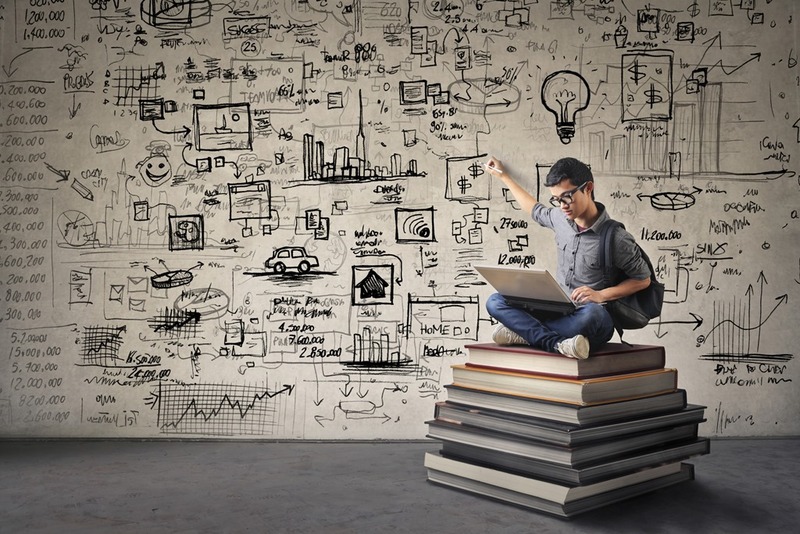 Note – Personally, I tend to create my weekly outcomes either Sunday night or Monday morning. In any event, I still name my note the current Monday that I’m on. It’s a simple convention and it’s stood the test of time. 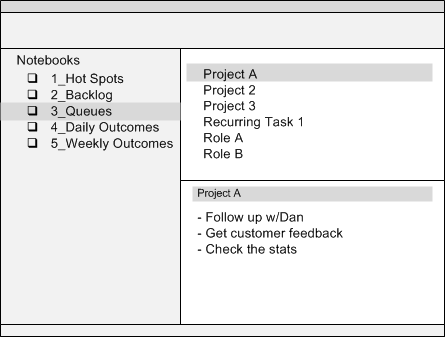 In this step, add a new note to your Queue for each of your ongoing activity, project, and roles. This notebook is called a Queue because it’s where you “queue” things up. You can only do so much in a day. 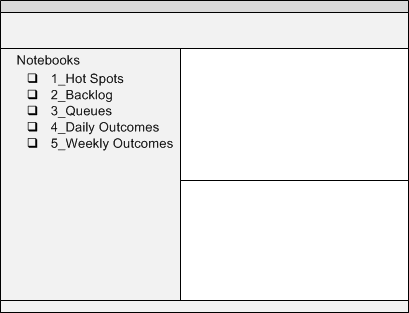 Use your Queue to dump your actions or outcomes that are important for each of your projects, ongoing activities, or role. By having a list for each one, you have one place to look when you need to figure out what’s important or what your next best thing to do is. 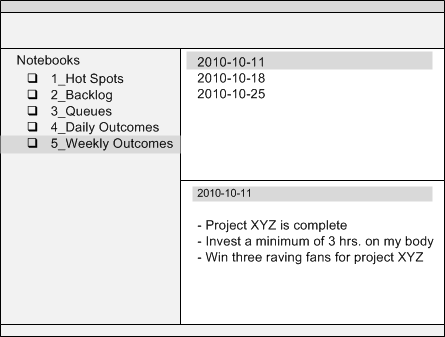 Your backlogs are simply lists of all the tasks, outcomes, or work items for a project. You would have one list per project. I find this to be simpler and more clear. This way, I can easily see my list of projects by name, and within each, I have simple lists of the outcomes, the work, anything else. Then you use the Daily, Weekly, Monthly lists to chunk up and bite off a segment of work for the day, the week, and the month. Your Project lists serve as your master list of all the things you are worried about getting done for a particular project. And the Daily, Weekly, Monthly lists help you keep your sanity by only listing out what’s relevant for today, what’s relevant for this week, what’s relevant for this month.